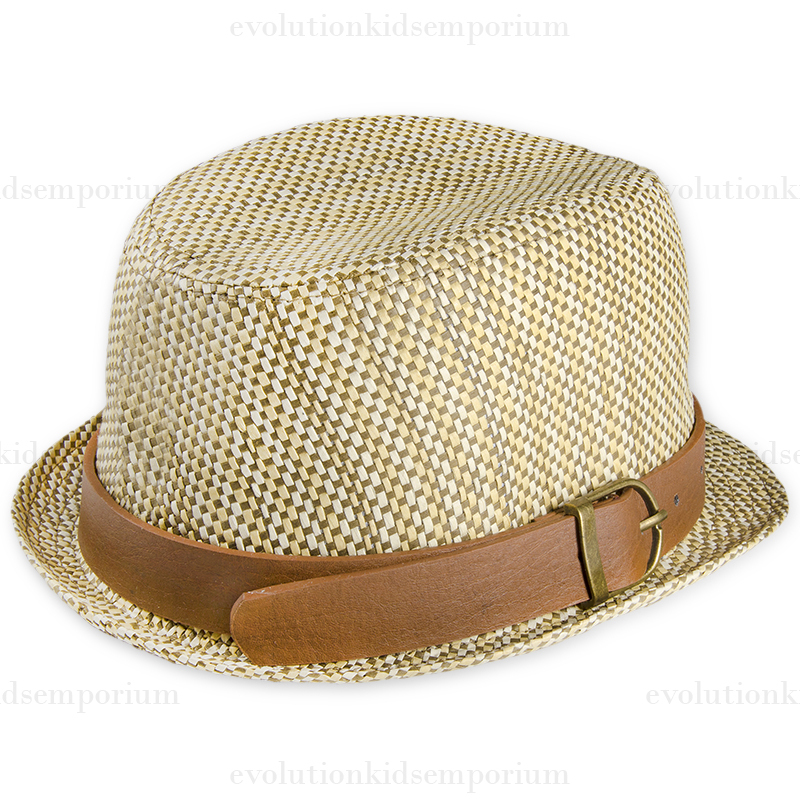 Basket Weave Trilby with Leather Belt Buckle Band. Lining: 100% Cotton. Import.